I have written previously about the costs of dating, if you are seeking a serious relationship, comparing local and international courtship and related costs. My conclusion was that it is much cheaper to date internationally than locally. This week I came across an article on Bloomberg, which confirms it once again: International dating saves you money, if you look at the actual costs of meeting and courting women, and then the expenses of a wedding. According to the numbers supplied by the Bloomberg researcher Alison Damast, the average couple will spend USD $40,441 before they tie the knot during a 2.5-year courtship. Remember, $12,000 spent on a serious relationship (before paying for your wedding) may or may not result in a marriage. It’s just an ongoing cost without any guarantees this will result in your getting married and having a family. If you are dating online internationally, it will cost you 1/100 of this amount. The initial dating stage happens online: You are paying a fixed amount for the membership to a dating site (never go Pay-Per-Letter/Paid Chat route, here is why), which may wary from a few dozen to a few hundred of dollars (more expensive plans give you more flexibility and choice). But think about it: Even if you are paying $129 for a Gold membership on Elena’s Models, it’s only the cost of about 1 real-life dinner-and-movie date (with no guaranteed results). Just 1 date. When women are removed from you, they are not expecting to be wined and dined immediately, and you can chat and establish relationships online, saving you a lot of money in ongoing costs of dating. If you have not succeeded in finding a potential partner within 3 months, you are only out of pocket to the value of your initial investment ($129). Well, you have tried. You either decide to take another 3 months for $89 (discounted recurring membership), or realize it’s not for you, and go back to paying $129 for 1 first date locally (plus the regular fees to the dating sites). You cannot completely avoid to pay for dating, but when you are courting women internationally, it is not just cheaper—it’s free. You can be talking to 20 women at the same time, and going on 2-3 Skype dates every day, without spending a cent. How successful you are depends on you: There are thousands of highly motivated Ukrainian women seeking a serious relationship. There are also thousands of Russian women. If you want a serious partner, you can find one. Talk to enough women, and you will find someone who likes you just as much as you like them, and who is genuinely serious to make it happen. A person who has spent on you 3-4 days (24 hours a day) of communication time, or 100 hours, without the encouragement provided by free dinners and entertainment, has been emotionally invested in this relationship more than a woman who was getting free perks in the form of food and amusements. And how much will it cost you? Zero. Just your time. When you have found someone who you think could be The One, you need to meet. This is just a vacation at a new exciting destination, and you can pick which one: Most women will be happy to travel within their country to a city you would like to visit. Some women are even happy to travel to meet you internationally, so you can meet in Thailand or Bali, for example. Imagine that: Traveling for a vacation, and you have a cute and interested girlfriend eagerly awaiting you there. Besides, she doesn’t insist on dating for years and really wants to be in a relationship. If everything worked out between you two, the greatest expense is the wedding. Compare $27,000 for an average wedding in the USA with $2,400 in St. Petersburg. 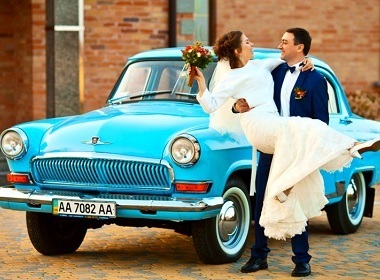 A good wedding in Ukraine or Russia will only cost you $4,000-6,000, including everything top notch. Sure, all your family and friends may not be able to attend. But the bride will be extremely happy, and who the wedding is for, anyway? Mostly for the bride. For your family and friends, you can have a reception when you arrive home, and you don’t need to spend $30K for that. Just buy enough food and drinks, and celebrate. Men who have completed the task of dating, meeting, and marrying a woman from Eastern Europe usually manage it on the budget of $12,000 or less. If your intention is to find someone for a serious relationship, and you would like to get married, this is a very simple way to accomplish it without having to amass great amounts of cash and credit card debt. A wedding like this would easily fit within $2,500 budget in Ukraine. In the USA or Australia, you would pay it just for the flowers and the cake. This was very eye opening. I always thought it was so much more expensive to date abroad. This makes me want to find The One Soon! When one looks at the costs from a broader perspective, this certainly puts things into a more reasonable view. It surprised me to see these numbers, but I’ve seen them quoted elsewhere now too. Seems there’s not a lot of reason not to look abroad if one is willing to travel a bit, particularly if one would rather be in a committed relationship without going through the non-committal and seemingly eternal Western courtship. Thanks for the insight! I was surprised by the cost of living difference between Ukraine an the US. Being so much cheaper in Ukraine and Russia. This opens up many options for men to date these women. I agree! I am sure that dating abroad costs less. First of all Russian and Ukrainian women are from different culture and dating with a person from different culture than yours, the way cheaper. If you date with a woman having the same culture as you in order to have fun date you need spend a lot of money for entertainment and so on. But with Russian and Ukrainian women it is just fun to know new culture and it is free. Seems I struck a nerve… None of those things are true of me. I am a generous, caring, faithful, steadfast partner. Women in the West are being indoctrinated to want the impossible. I won’t try to sway your opinion. We will just have to agree to disagree. JUST WHAT DOES $129 COVER.? WHAT IS THE MEMBER ENTITLED FOR $129.???? J.D., the detailed information on membership inclusions is available here.